Cove Trail Cottage sits in a desirable setting with an almost secret garden opposite a little babbling brook. Within easy access of the coastal paths to Maenporth Cove, this welcoming end terraced cottage nestles in a delightful village setting. The accommodation boasts a comfy and spacious open-plan interior with a bright sitting room with patio doors out to the private, sun patio at the rear and shared lawn. This makes a lovely haven for alfresco nibbles or a place to soak up the Cornish sunshine. The contemporary kitchen and dining area has all you need to rustle up a bite to eat and gather around the table to plan the days adventure. With three restful bedrooms (one with truckle bed to cater as a single or double bed) guaranteeing a good nights sleep and a family bathroom, Cove Trail makes a wonderful choice for families, couples or gathering of friends. The onsite facilities include beautiful gardens and communal lawns for play, all weather tennis courts, a ball court great for footie and basketball and an indoor plunge pool. There is allocated parking for one car, plus visitors parking. The sandy stretch of sheltered beach at Maenporth is a gentle twenty minute walk through a path from the cottage. This lively cove, along with Swanpool, is great for a paddle or swim, hiring a rowing boat, playing mini golf or enjoying refreshment in the beach cafÃ©. From here, ramble the South West Coastal Path to glorious Gyllyngvase Beach for a picnic. North Helford and Falmouth are perhaps the quintessential Cornish visitor destinations; a mix of beach, creek and woodland attractions alongside historical villages and towns, and Falmouth Golf Club welcomes visitors. Falmouth is home to the National Maritime Museum and Pendennis Castle. Enjoy an amble through the charismatic streets packed with superb restaurants, galleries and gift shops. Take a boat trip across the River Fal or head up stream towards Truro. This cobbled cathedral city offers a good retail experience, traditional inns, bars, a cinema and a theatre - providing entertainment for all ages whatever the weather. 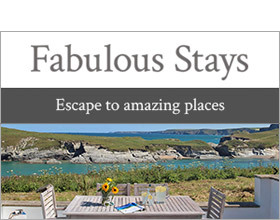 The Cornish Cottage Holidays team is always on hand to advise you on the area and to help you plan your stay with us. Over two floors. Three bedrooms: 1 x double, 1 x twin room, 1 x single plus single truckle bed to make a twin (to make double on request). Bathroom with bath, shower over, basin and WC. Open plan living area with kitchen, sitting area and dining area. downstairs WC. Note: No signwritten vans or commercial vehicles are permitted on Pendra Loweth.